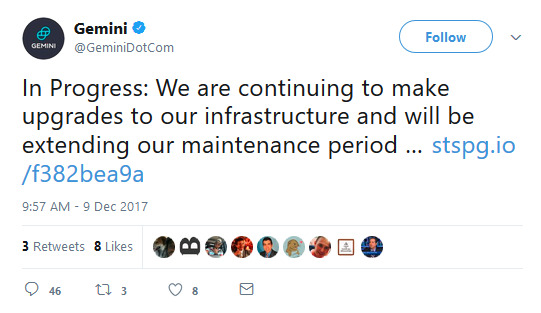 Gemini, the crypto exchange, extended a scheduled maintenance Saturday after a bitcoin sell-off. The exchange appeared to be down for some users for much of the morning. 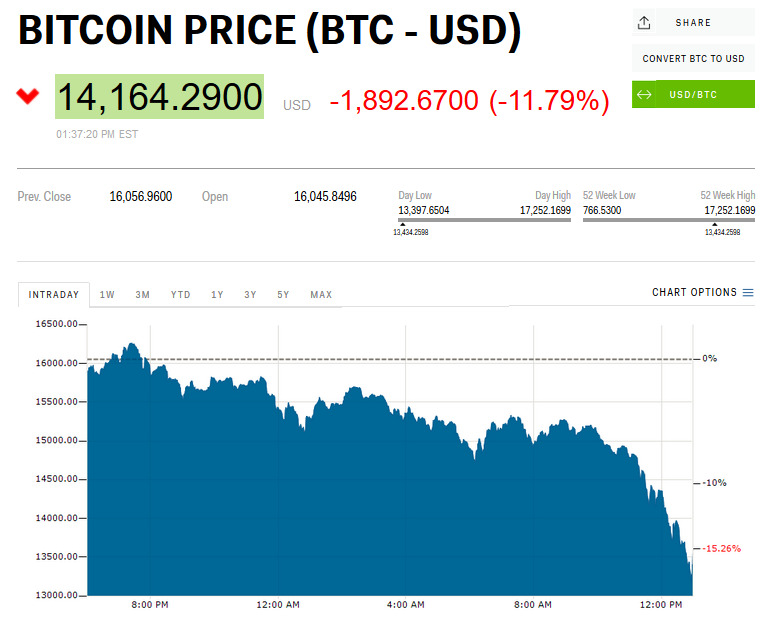 Bitcoin, the red-hot cryptocurrency, shed more than $US1,500 during the downtime. The exchange will provide data for Cboe Global Markets’ bitcoin futures contracts, which will go live Sunday. 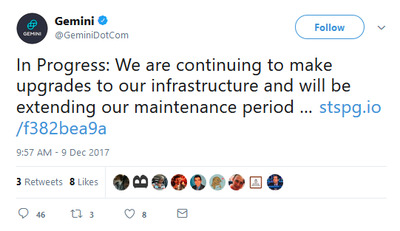 Gemini, the cryptocurrency exchange founded by the famous Winklevoss twins, has extended a scheduled maintenance of its site after a massive bitcoin sell-off. The company said Friday night that its site would undergo maintenance from 8:00 a.m. to 1:00 p.m. ET Saturday, adding that users shouldn’t expect “downtime.” Still, the site appeared to be down for some users during the period, preventing folks from accessing their cryptocurrency accounts. 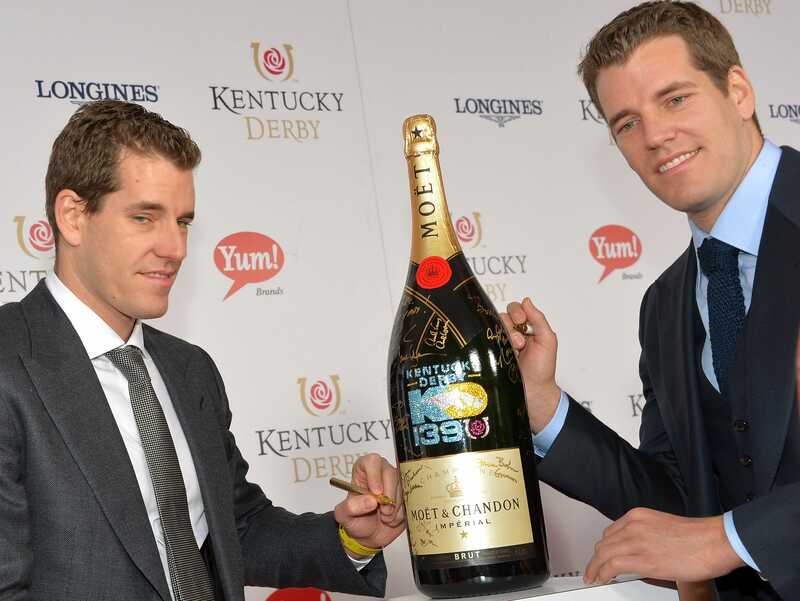 Founded in 2015 by Tyler and Cameron Winklevoss, who reportedly own a billion dollars of bitcoin, Gemini is one of the best-connected firms in the cryptocurrency space. Cboe Global Markets is partnering with the exchange for its bitcoin futures contracts, which are set to go live Sunday. When volumes have increased on Gemini, the firm has faced challenges staying online. 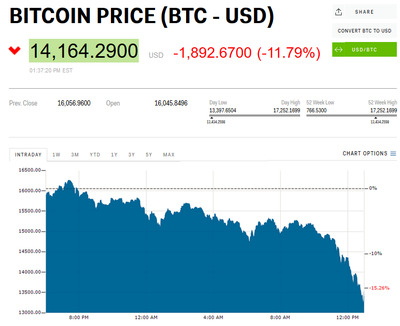 The exchange also experienced outages lasting as long as 10 hours in August, according to reporting by Quartz. Gemini did not respond to a request for comment.